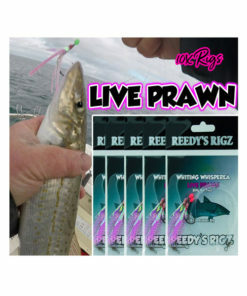 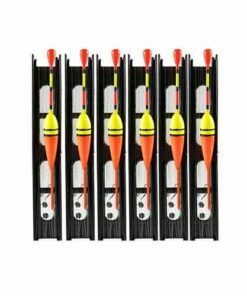 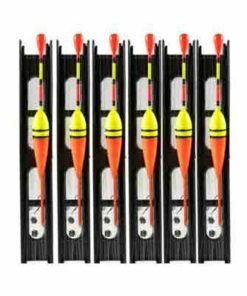 10 running rigs Snell Hook Rig Are Awesome For Targeting Snapper Mulloway and a Range of Fish. 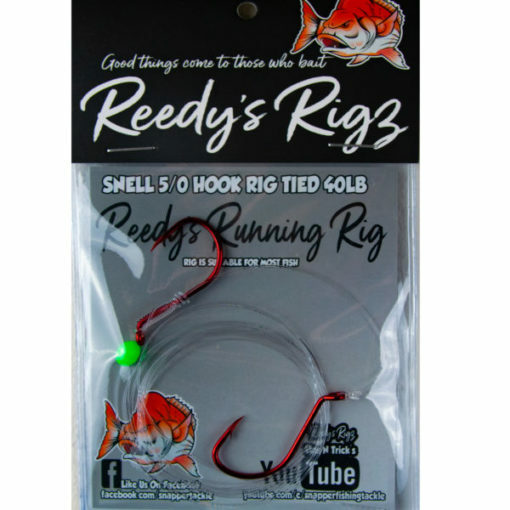 Tied on 50lb Leader Fluorocarbon this Fishing rig is ideal for Bay And Offshore fishing. 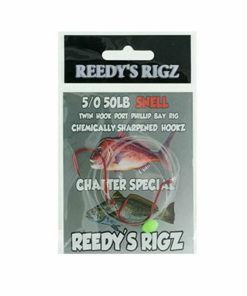 Sold In Packets of 5. 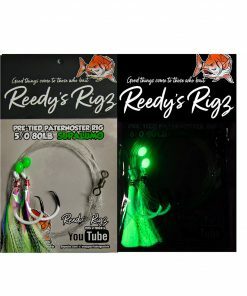 Pre made with Suicide Beak red Hooks. 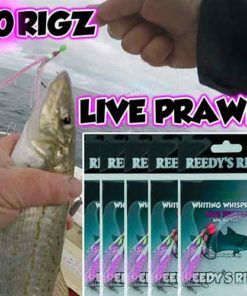 Great for anglers bait fishing . 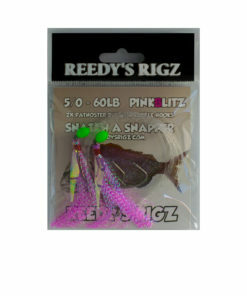 Designed for drifting down whole baits. 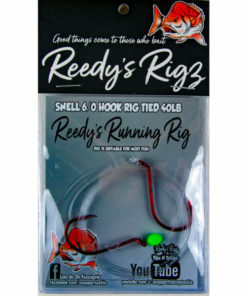 Tie on your rig with lead ball or bead Sinker it will be running sliding down the Leader . 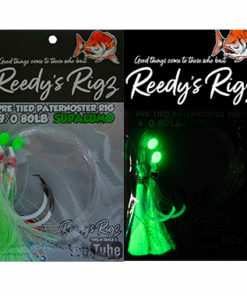 A Lumo Bead Between the Hooks & the weight to protect the knots. 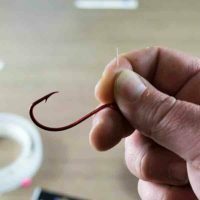 Snapper Rigs How to Tie : Fishing Rig Video How to Tie a hook Snapper Fishing Rig using uni knot Snell Hooks. 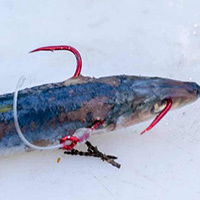 Unit Knot : I Tied the Uni Knot First because it gives your Bait Pilchard Protection the Snell part of your Rig. 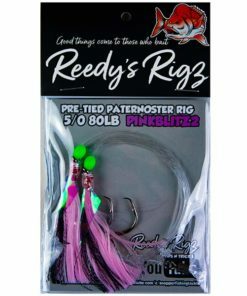 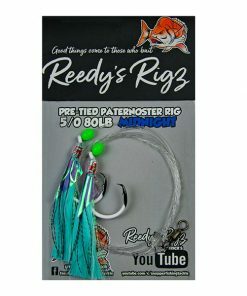 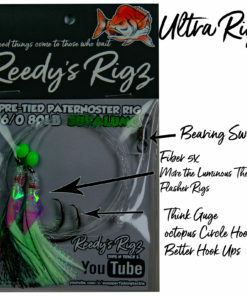 Full Rig tying Guide Below For PPb. 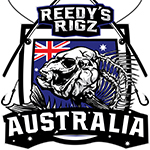 This fishing rig is commonly used in Australia Bay’s Such as Melbourne Port port Phillip Bay in Spring Snapper Season . 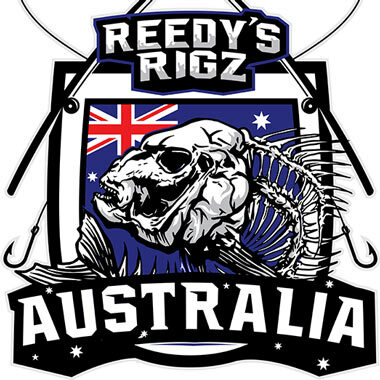 Brisbane Offshore Coastline and Morton bay in Queensland for winter snapper. 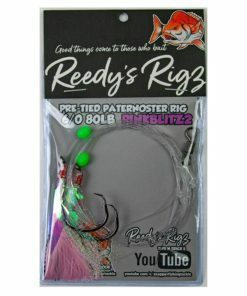 Also a hot favorite tying this rig Perth W.A Reds . 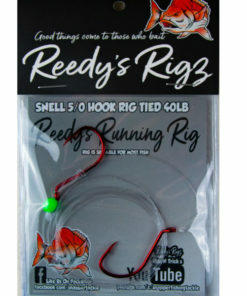 Snell hook Rig 4/0 Pre Made Fishing Tied 50lb Leader Running Snapper Rigs. 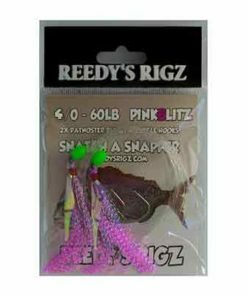 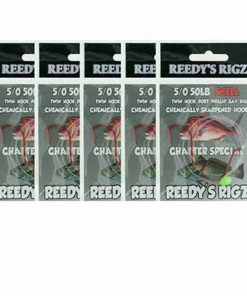 Snell hook Rig 6/0 Pre Made Fishing Tied 50lb Leader Running Snapper Rigs.